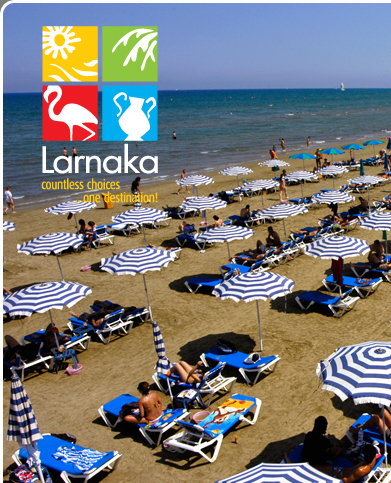 It's summer in Cyprus and as a coastal town, Larnaka is the ideal place to be to enjoy it! The Blue Flag beaches are full of locals and holidaymakers taking advantage of the wonderful weather, clean sands, clear seas and a whole host of watersporting activities. The summer also marks the start of the Music Festival in July, which is a highly anticipated event across the island and brings some of the finest musical entertainment to the town. The flamingos are also back – but instead of occupying the salt lake, you can find them in and around the town. All this and more is revealed in this season's newsletter, so slap on the sunscreen and immerse yourself in a Larnaka summer. The Larnaka Tourism Board has published a brochure covering the top 15 new and exciting renovation projects that Larnaka and the surrounding region will be undergoing in the next five years. Chairman Mr Dinos Lefkaritis believes that thanks to these planned projects, Larnaka will become a preferred tourist destination that offers high quality services, excellent infrastructure and convenient amenities. A mass wedding of 154 couples from Israel and Russia was held in Larnaka on June 17, making it the largest number of civil marriage ceremonies held in a single day abroad. The ceremony took place at the romantic Larnaka Medieval Castle square. After the couples were officially wed, traditional wedding 'loukoumi' sweets were offered and a Cypriot dance show provided entertainment to all guests. Larnaka Municipality and the Bank of Cyprus in cooperation with the Larnaka Chamber of Commerce & Industry and the Larnaka Tourism Board will be holding the "Larnaka 21 - Embracing the Future" conference on July 8 and 9. Esteemed Cypriot and foreign speakers will present the major projects and plans which will evolve Larnaka into a European hub for services, energy, tourism and culture. Larnaka has plenty to offer visitors all year round, but did you know the top 10 reasons that make Larnaka such a unique and varied destination? We hereby introduce you to the most popular ones. These elements, amongst others, are being used by the Larnaka Tourism Board in building Larnaka's branding as a tourist destination. Whilst the real flamingos have left Larnaka Salt Lake until they migrate back here next winter, 10 model flamingos that have been colourfully painted by artists and adopted by various companies are being placed around Larnaka. The flamingo is the unofficial 'mascot' of the town since thousands of pink flocks of these giant birds descend on the salt lake between November and March. 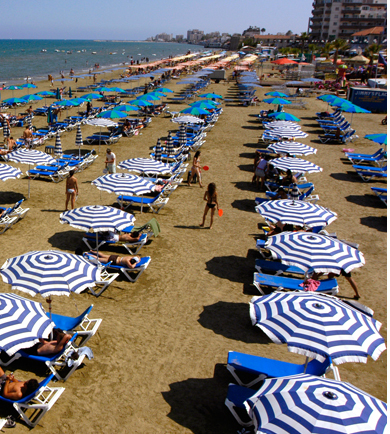 Larnaka beaches have once again been awarded Blue Flag status, an endorsement of the high quality of the region's coast. The five beaches which have met the strict criteria and awarded the status are Phinikoudes, Castella and McKenzie in main Larnaka, Giannades in Voroklini and Faros in Pervolia. Each one has its own personality so read more to find out about it! Larnaka is a watersport fan's dream destination thanks to its favourable waters, ideal weather conditions, reputable watersport companies and famous dive sites. There is no shortage of opportunities to enjoy a big range of activities in, on and around the water, and these include windsurfing, kitesurfing, diving, boating and fishing, amongst many others. Larnaka will once again be the island's entertainment capital with the Municipality of Larnaka's highly anticipated annual Larnaka Festival. The festival always opens with a world-famous London West End musical at the Pattichion Municipal Amphitheatre on July 1 and 2, and this year's performance is The Wizard of Oz. There will also be concerts by some of Greece's biggest singers. Larnaka Tourism Board has its own official channel on YouTube and you are invited to subscribe to the channel to receive updates of new videos. Larnaka Tourism also has a presence on Flickr – the photo sharing website. The beautiful collection of images perfectly capture some of Larnaka's finest elements and interested parties can download images for commercial or personal use.